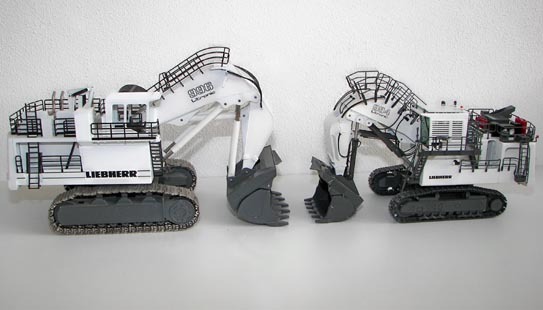 This is the NZG model of the Liebherr R994B mining shovel. 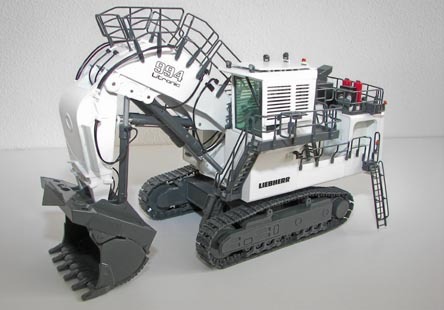 The model features an overwhelming amount of detail. 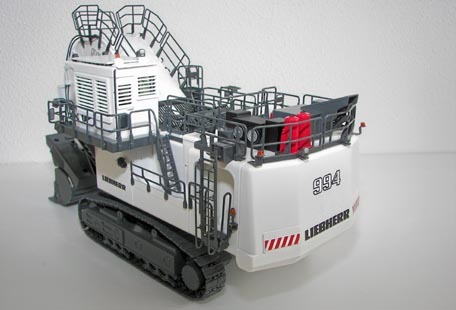 The model shows all railings, stairs, hydraulic lines and working lights, and much more. The deck of the shovel is completely filled with installations and exhausts. Also notice the warning lights and the realistic working lights. When comparing the R994B with Conrads R996, it becomes obvious that the manufacturers are more and more paying attention to the detail level of the models. 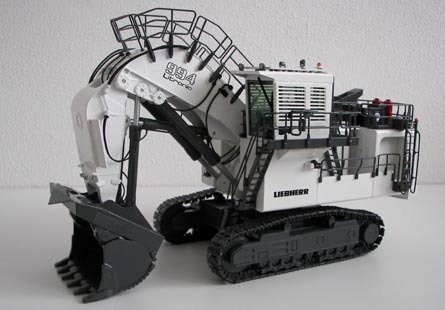 The R994B is great value for money, and is an excellent and affordable addition to any mining collection.